Norfolk Southern is a modern Class 1 railway operating in 22 eastern states. Its roots can be traced to a number of famous predecessor roads, many going back to the earliest days of US railroading. It became today’s Norfolk Southern following the consolidation of the Norfolk & Western and Southern railways. After the merger, the new railroad continued the popular Southern Railways steam program, which began in the 1960s. That program came to an end in 1994. In 2010, in conjunction with the Tennessee Valley Railroad Museum, a new steam program was announced by Norfolk Southern CEO, Wick Moorman. Newly restored Southern 630 led the first trips in late 2011and continued to power many of the excursions through 2014. In 2012 Nickel Plate 765, operated by the Fort Wayne Railroad Historical Society, joined the 21st Century Steam Program. The two engines provided the power through the 2014 season, after which 630 returned to the Tennessee Valley Railroad Museum for continued operation there. The museum’s Southern 4501 has now been restored and joined the steam program for the 2015 season. Also joining in 2015 is Norfolk & Western 611. This classic streamlined beauty was built in the Norfolk & Western shops in 1950 to serve the railroad’s fastest passenger trains. She was retired to a museum in 1959 but returned to steam to become a star of the Southern steam program from 1982 through 1994. Well cared for by her owner, the Virginia Museum of Transportation, there was lots of talk about returning her to steam again. Feasibility studies led to successful fundraising, and 611 was brought back to life in 2015, much to the delight of her legions of fans. Virginia Museum of Transportation, Fire Up 611!, Class J 611, and Norfolk & Western Class J 611 Steam Passenger Locomotive are Licensed Trademarks of the Virginia Museum of Transportation and used by permission. 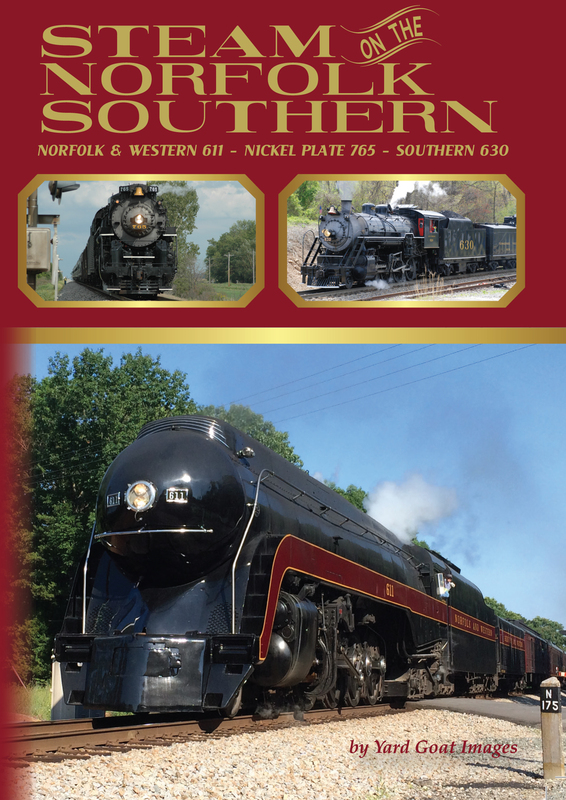 Steam on the Norfolk Southern: Norfolk & Western 611 - Nickel Plate 765 - Southern 630 from Yard Goat Images on Vimeo.